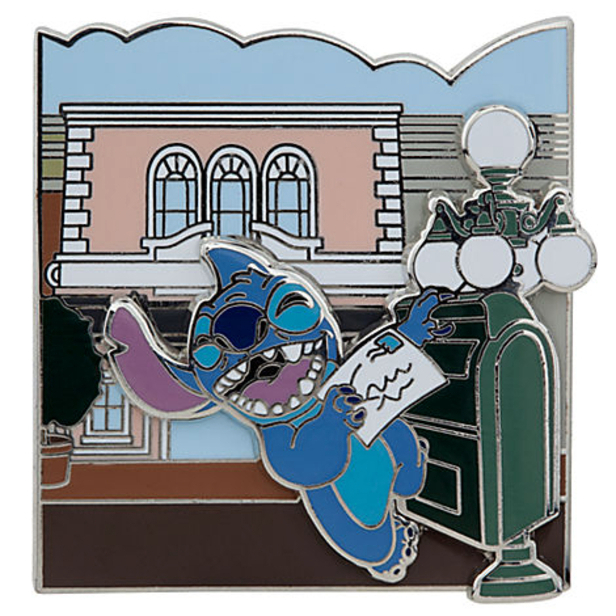 The feisty alien Stitch spells fun to the letter as he is about drop his mail in the postbox on this expertly crafted pin. 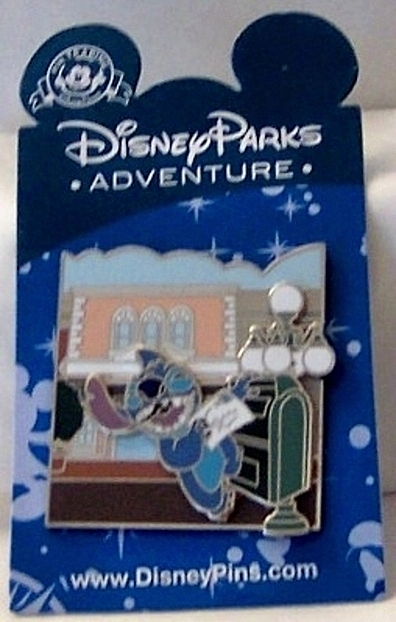 Notably, the third in the Disney Parks Adventure series, this trader favorite features a dimensional pin-on-pin design. 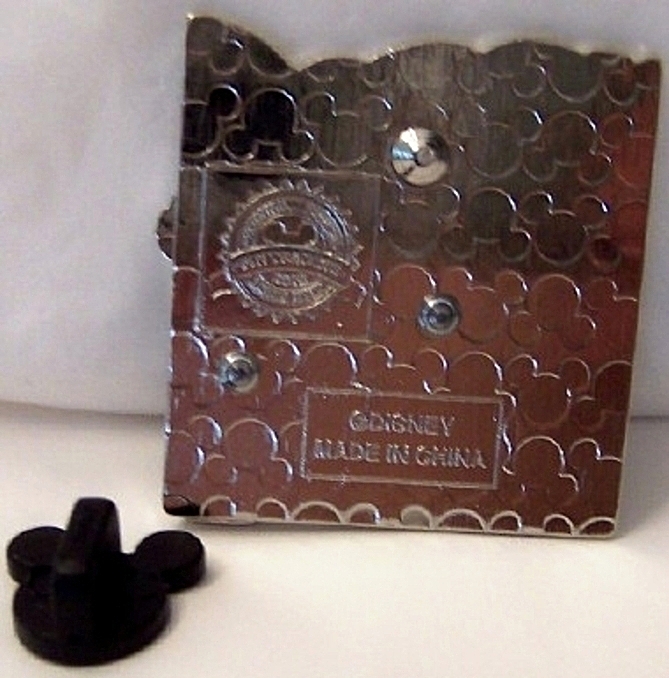 In addition, one of Disney’s famous Main Street facades pins! PIN IS ABOUT 1.5 H X 1.5 W INCHES MAX DIMENSIONS. #1 POST WITH #1 MICKEY PIN BACK. Surely, read product description including disclaimers prior to purchase. 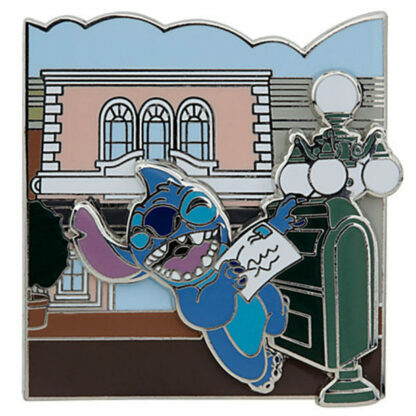 Buy this Disney Parks Stitch Main Street Opera House Pin New On Card to collect. Or give it to someone you know! Main Street Opera House Pin New. PIN TRADING AROUND THE WORLD. Firstly, created especially for Walt Disney World Resort and Disneyland Resort. Also, silvertone plating metal / synthetic cloisonné, about 1/2” H x 1 1/2”, imported. 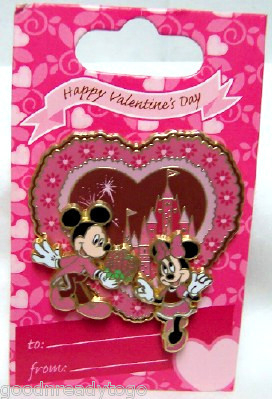 Further, #1 post with #1 Mickey pin back. Finally, part of the Disney Parks Adventure Pin Series, each sold separately. 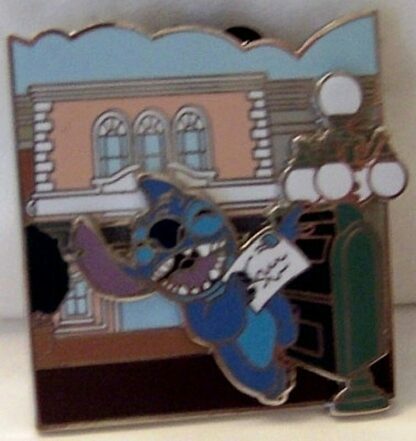 This listing is for one pin only, the Disney Parks Adventure Series Stitch Main Street Opera House Pin New from this set. Stitch is also known as Experiment 626. In fact, he is an illegal genetic experiment. Stitch was created by Jumba Jookiba He is the protagonist of the 2002 Disney animated feature film Lilo & Stitch . He is designed to be mischievous. Moreover, his primary function was originally to destroy everything he touches. Significantly, his one true place is with Lilo and her ʻohana. The Main Street Opera House in Town Square is the oldest building in Disneyland. It formerly served as the park’s lumber mill between 1955 and 1961. Firstly, we enlarge photos to show details. Disney sells these items as new with minor imperfections. Further, color and details of item you get may vary from that shown. Due to different lots. Also, card and pin back may have minor shelf wear as sold by Disney. This includes rips, tears, folds, and/or creases. Furthermore, pin may have minor nicks and scratches as sold new at Disney. IMPORTANTLY, WARNING: CHOKING HAZARD – Small parts and made in China. Thus item may contain lead and other heavy metals. Finally, collector’s item not for children. Buy this Disney WDW Magical Manifestations Maleficent Hinged LE 1000 Pin New On Card to collect. Or give it to someone you know! 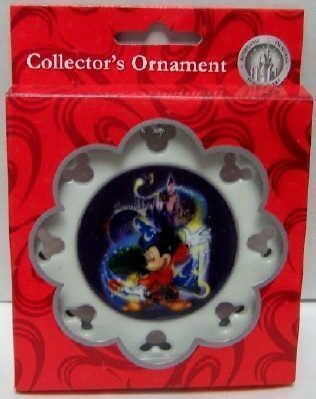 Click here for other Disney merchandise! Note our limited supply! BUY IT NOW! Certainly, 100% GUARANTEE OF AUTHENTICITY. Please be sure to read this listing carefully. And ask questions before buying so you are completely satisfied with your purchase. This listing includes free shipping to USA. Ships by USPS First Class Mail with delivery confirmation. Free shipping to USA by USPS First Class Mail with delivery confirmation.